Decorating for spring is always fun. The bright colors, pretty flowers, and adorable little bunnies associated with the season are like a goldmine for anyone interested in home decor. Often times, spring and summer decor tends to blend together. It makes decorating for both seasons so much easier if the colors and items can be combined in some way. 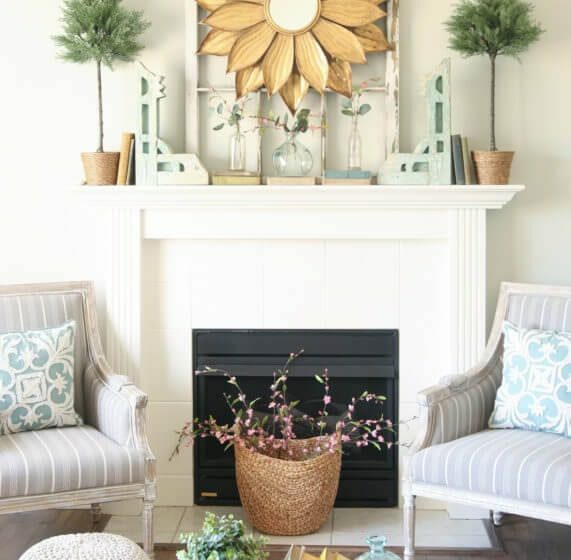 Throw pillows and centerpieces may stay the same throughout spring and summer, but mantles provide the perfect space to easily change up your decor. Some of these spring mantles are full of color and others are a little more neutral but we were inspired by every single one of them! 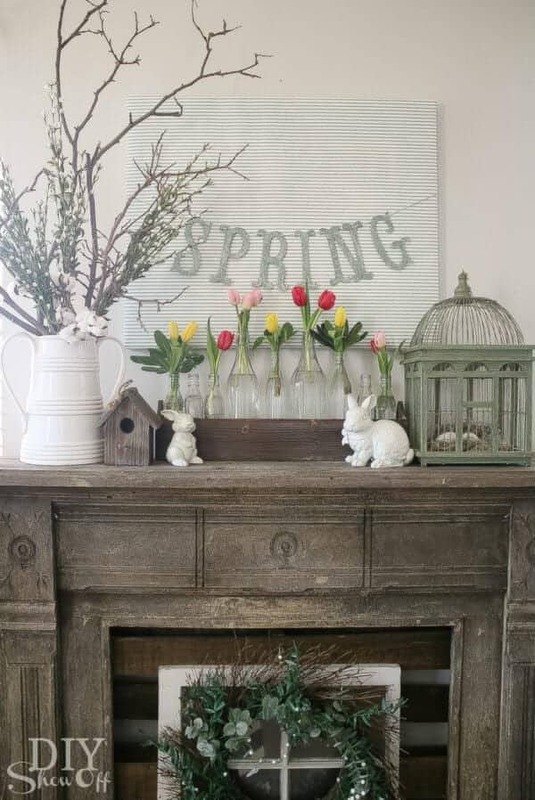 This farmhouse chic spring mantle is decked out in simple colors, beautiful statement pieces, and gorgeous fresh flowers. It is the perfect combination of simple and eye-catching and perfectly proves that fresh simplicity is always in style. Visit The Turquoise Home to find more chic, easy-going home decor inspiration. 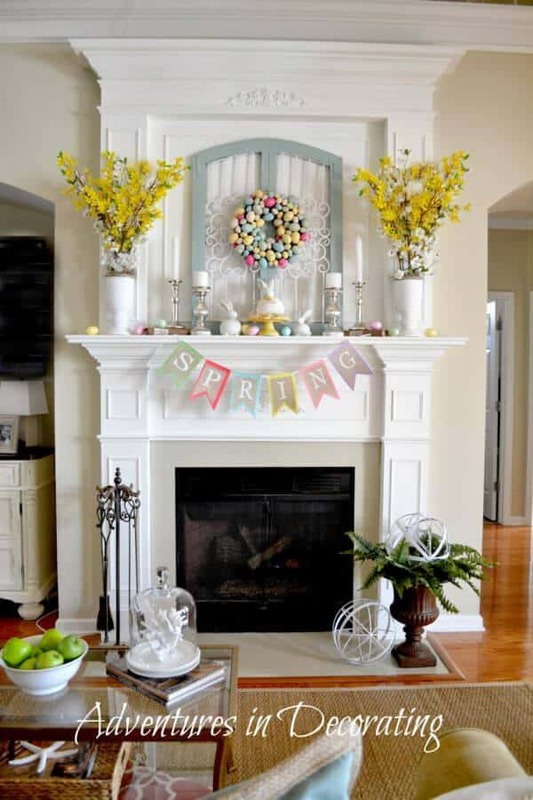 This mantle utilizes just about everything we love about spring to create this fun, colorful display. The beautiful flowers adds tons of freshness while the rainbow garland adds plenty of pop. 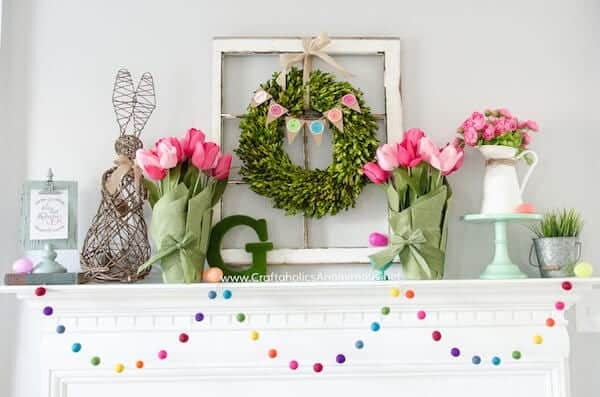 While the addition of the bunny pays homage to Easter, the entire mantle perfectly showcases the season. Find tons of great home-based DIY projects and design inspiration at Craftaholics Anonymous . This mantle adds a seasonal flair to a gorgeously rustic display. 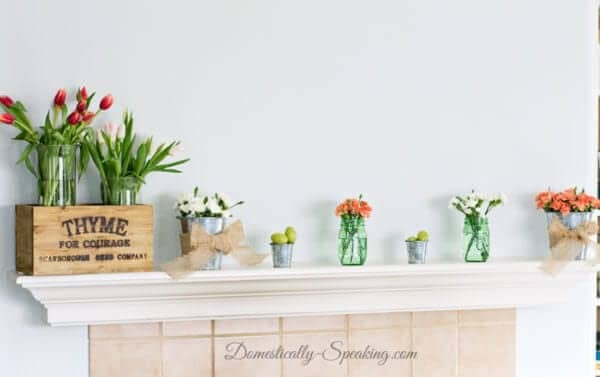 While the individual flower vases adds some much-needed color to the decor, nothing about this mantle is too colorful, too bright, or too much. The white ceramic bunnies and birdcage give the display tons of personality that allow this mantle to really hold its own. Head over to DIY Show Off to find plenty of fun, quirky DIY projects for your home. When decorating, accent pieces tend to tie the rest of the decor together and this mantle is no different. 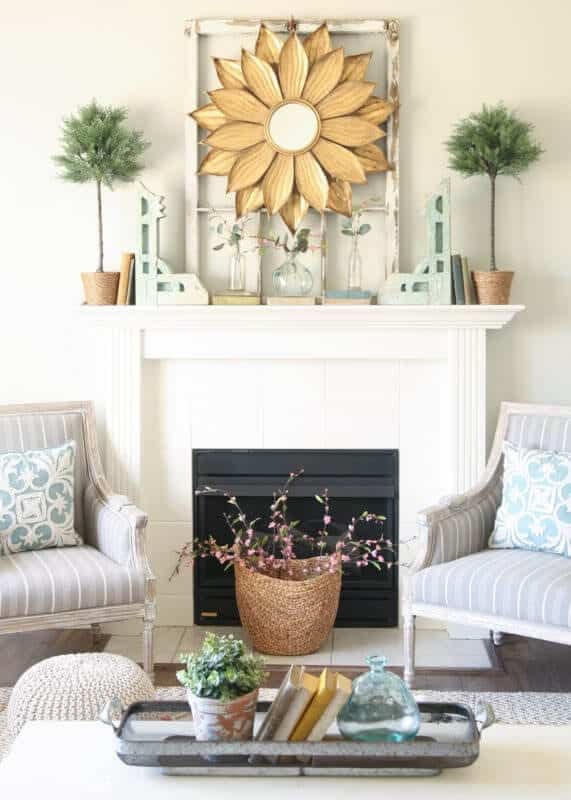 The large sunflower mirror is the first place your eyes are drawn to, while the other items on the mantle fit in perfectly with the theme, it is the sunflower that accentuates the entire mantle. Find home design project galleries and inspiration at House by Hoff. 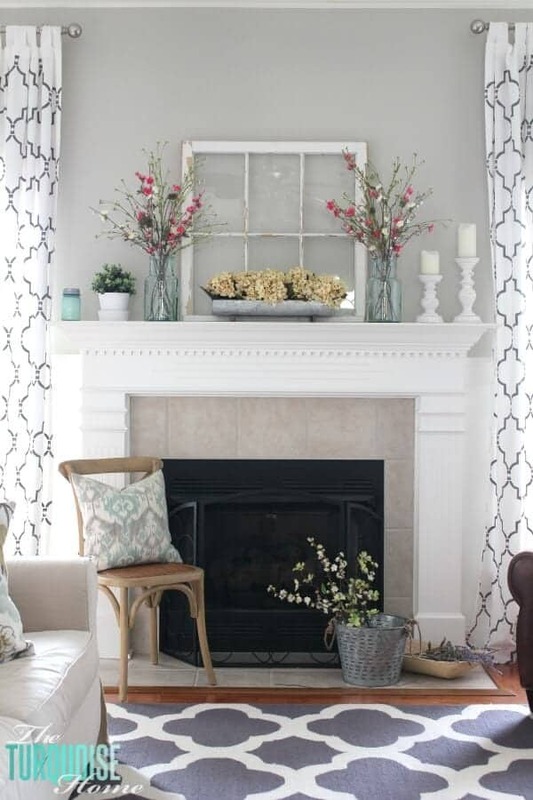 Neutrals and bright colors combine beautifully in this mantle styling. Using small but mighty pops of color in the eggs and garlands, the pale yellow, blue, and white statements of the mantle aren’t out shined but are showcased beautifully. Visit Adventures in Decorating to find more eclectic decor galleries and home design inspiration. 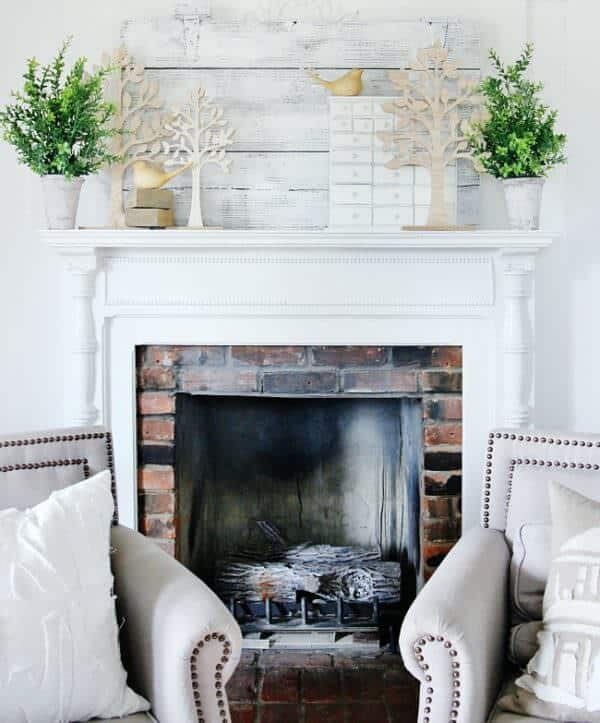 Even without containing anything we normally think of when decorating for spring, this mantle is perfect for the season. Instead of fresh flowers, potted trees are used. There are no bright colors, ceramic bunnies, or Easter eggs but the simple-toned neutral decor items are understated in the best ways possible. Thistlewood Farms is full of classy, whimsical decor inspiration for every room in your home. This mantle contains nothing but flowers, but somehow, it works perfectly. Different tones pinks and greens work beautifully together and the mixing and matching of their tones, cases, and boxes add plenty of versatility to the entire display. Get delicious recipes, design tips, and more at Domestically Speaking. 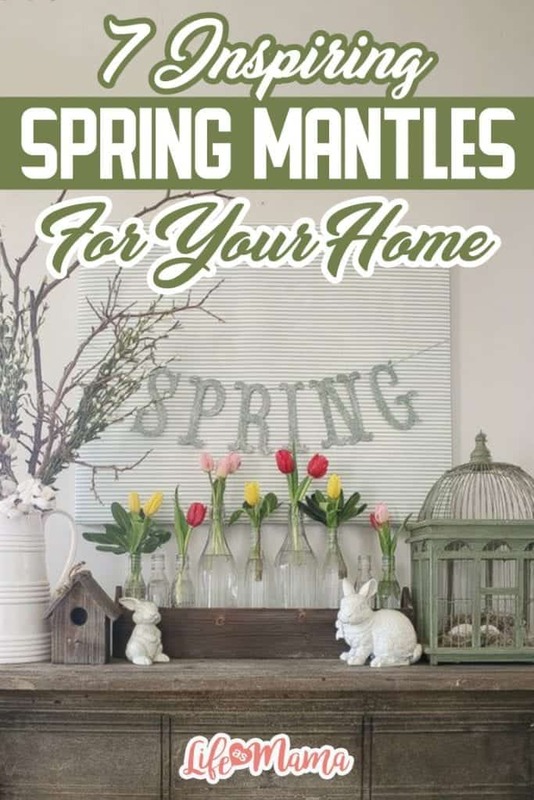 The post 7 Inspiring Spring Mantles For Your Home appeared first on Life As Mama.